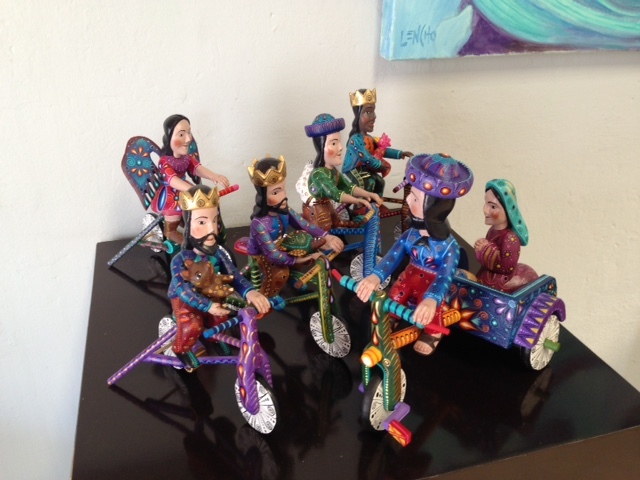 Mary, Joseph, the 3 Kings and a few others looking for lodging, arrive on a tricycle and bikes. 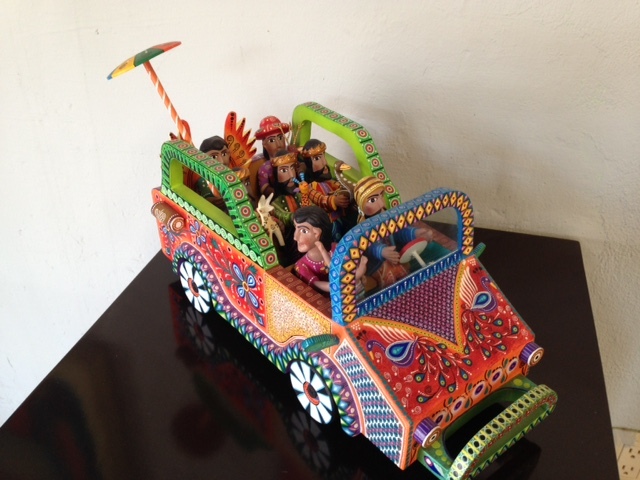 Mary, Joseph, 3 kings and various others arrive in a colorful Jeep. Yesterday walking the galleries in El Centro, Puerto Vallarta I came across these sculptures by Oaxacan artist, Agustin Cruz Tinoco. Absolutely delightful and beautifully executed. He and his sons carve the pieces, his wife and daughters paint the surfaces with acrylics. It is beginning to look like Christmas!